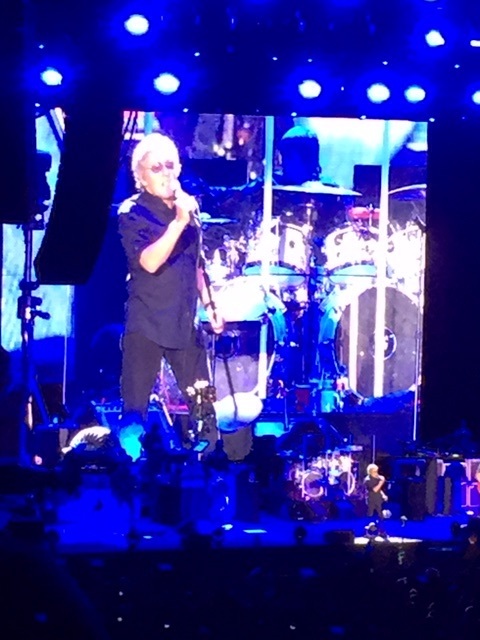 Last night The Who returned to their home turf to play a one-off gig at Wembley Arena. Roger Daltrey has been suffering from viral meningitis, which resulted in the postponement of the last leg of their American Tour, and this gig was slotted in by way of a warm-up before the band returns to the USA to play the rearranged dates. I’m pleased to report that Roger looks and sounds well, although he did tell us that he wasn’t 100% and that his “legs weren’t fully there”. Well it didn’t show. This was another classic Who performance, easily on par with, if not surpassing, their Hyde Park show last Summer. A sold-out crowd of locals and die-hard Who fans from across Europe gave the band the rousing London welcome they deserve. 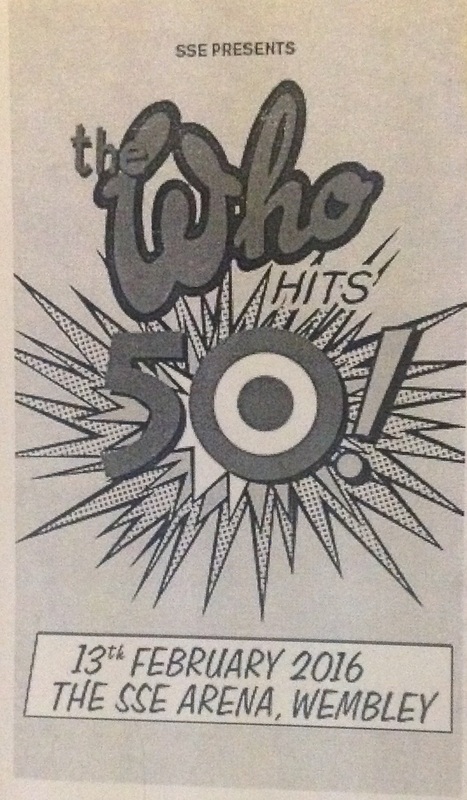 The Who Hits 50! Tour is a celebration of the amazing legacy of a legendary band who have given us so much over the years. 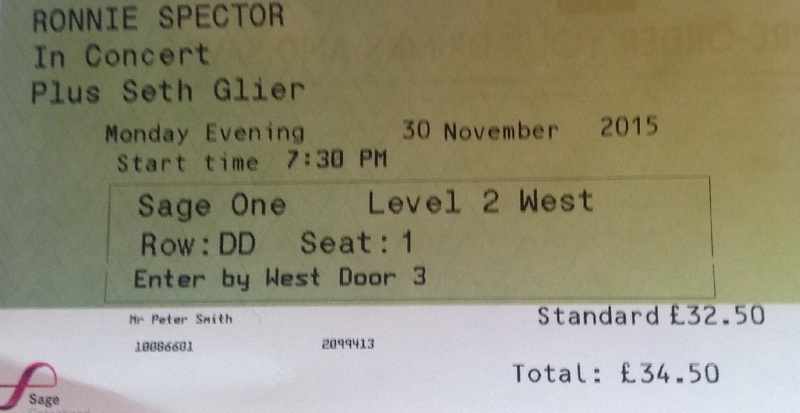 This was my 21st (I think) Who live experience, and the third time I’ve seen them on the current tour, having caught the first leg of the tour at Newcastle Arena in late 2014 and the Hyde Park gig last summer. The set is largely the same, although it has become slightly shorter with openers “I Can’t Explain” and “Substitute” being dropped, as has their early attempt at a mini opera “A Quick One (While He’s Away)”. Last night we were treated to the inclusion of the instrumental “The Rock” as part of a trio of songs from “Quadrophenia”. The evening started with a slide show which took us through the history of the band, and featured many great images of the late Keith Moon and John Entwistle. 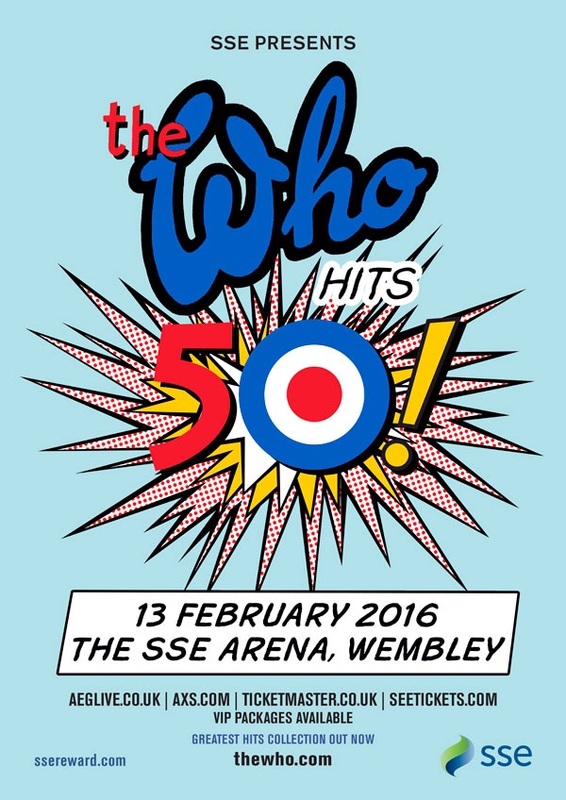 This tour is a celebration of their legacy and contribution, as well as a run through of some of the Who’s greatest songs. The band walked on stage and launched straight into “Who Are You?” and away we went on another amazing journey through so many classic tunes; a history of this extraordinary band, and also of our own lives and memories. The giant screen behind the stage displayed powerful full-face images of Roger, Pete, Keith and John, along with clips of the Who in the ’60s and the ’70s and clips from Quadrophenia. The sound was crisp; I was sitting halfway back on the terrace to the left of the stage, and every note was very clear. The first part of the set featured early classics: “The Seeker”, “Picture of Lily”, “The Kids are Alright”, “My Generation” and my personal favourite “I Can See for Miles”. Then we moved swiftly to the ’70s and the haunting “Behind Blue Eyes” followed by “Bargain” from “Who’s Next”, “Join Together”, and “You Better You Bet”. The aforementioned segment from “Quadrophenia” followed. “Eminence Front” is not my favourite track, so I took the opportunity to have a walk around the arena, finding a spot downstairs on the floor towards the back. I spent the rest of evening there, enjoying the band and observing the crowd singing along, dancing and generally going crazy. The songs from “Tommy” followed, culminating in a powerful crowd singalong to “Listening to You” which always gets me. I knew we were on the home stretch. Roger’s voice was holding out fine, and Pete was full of power and angst, twirling and twirling his arm, and squeezing great solos out of his Fender Stratocaster. The familiar minimalist synthesiser intro signalled “Baba O’Reilly” which then lead into closing song “Won’t Get Fooled Again”; as raw and relevant as ever. Pure class. Pete introduced the band, and they left the stage at around 10.30pm. I took the 2 minute walk across the road to the Wembley Hilton. Pete said at the end “Hope to see you again.” Yes indeed, hope so. I’m typing this on a very slow train (engineering works on a Sunday) which is gradually taking me back home ‘up north’. Next stop is York. I’m feeling quite tired and stiff this morning; must be starting to feel my age. Now there are those that we call legends, and those who really are legends. Ronnie Spector is definitely in the latter category. The self-styled wild child of rock and roll, the rose of Spanish Harlem, one of “the” voices and faces of the ’60s, is still going strong, voice and beehive intact. I’d waited some years for this. I recall reading a review of one of Ronnie’s comebacks in the ’70s and vowing then to see her. I finally kept my promise to myself, event if it has taken me 40 or so years to do so. I had a ticket for a gig in Edinburgh a few years ago and it was sadly cancelled, so when this time round Ronnie came over for a full tour, calling at the Sage, I was determined to catch her while I can. I went along wondering whether she would still be able to do it. I needn’t have worried. 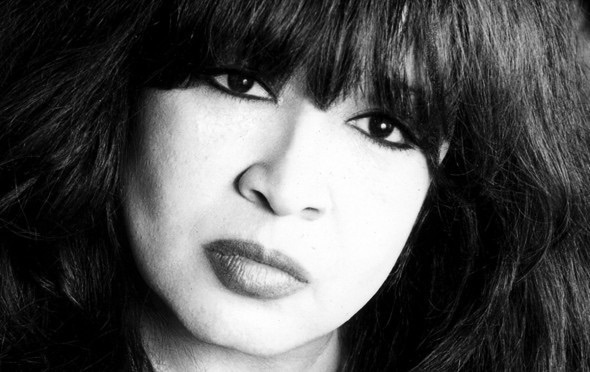 I am delighted to report that Ronnie Spector can perform, sing and hold an audience in the palm of her hand for an entire evening. The concert was a run through Ronnie’s life. Between each song she sat down and told a little story, illustrated by some great images and videos shown on a big screen above the stage. The balance between stories and songs was just right, as was the way in which Ronnie told the stories. Sometimes these shows sound like name dropping. This one didn’t; it worked really well. Her band consisted of three girls (who could be the young Ronettes) in red taffeta dresses, and a drum/ guitar/ bass/ organ/ sax combo. Perfect. She looked great, sporting the biggest hairdo you can imagine. First up was the Ronettes classic “Baby I Love You”. Ronnie explained how the young girls were just desperate to sing and dance, telling a story of how they lined up at the door of the Peppermint Lounge, were mistaken for the dancers, were invited in and then bravely took to the stage with no rehearsal. Of course, they knocked the crowd out and it everything started. Cue “Keep on Dancing” followed by “What’d I Say”. Next Ronnie told us how she loved DooWop, which led into “I’m so Young” by early DooWop group the Students. We then moved to the UK and the Ronettes first tour of this country, on which they were supported by the Rolling Stones. “Time is on My Side” was sung in front of a picture of herself with Brian Jones and Keith Richards. Pure magic. The next couple of songs showcased great songwriters: “Is that what I get for Loving You?” by Goffin and King and “Paradise” by Harry Nilsson. Ronnie next celebrated another major milestone in the lady’s career: a video of the Ronettes first US TV appearance on American bandstand followed by the song they sang on the show all those years ago: “Do I Love You”, followed by “You Baby” and “Chapel of Love”. For the next two songs Ronnie paid tribute to one great lady singer who was a friend; and another who was her sister and a great influence. For “Walking in the Rain”, Ronnie talked about Dusty Springfield who she shared a dressing room with in the late ’60s. And for “(the best part of) Breakin’ Up” she told us about her sister Estelle who lived the Ronettes journey with her. Ronnie explained how she left showbiz in the late ’60s to return in the ’70s. “I wish I never saw the sunshine” was followed by “You can’t put your arms around a Memory” which was written for her by Johnny Thunders, andrecorded with Joey Ramone. “Back to Black” paid tribute to Amy Winehouse who was, undoubtedly, influenced by Ronnie. Next was the song I had been waiting for all night. “Be My Baby” sounded just great; still powerful; not at all cheesy. For encores we got an early Christmas in the form of “Frosty the Snowman” and the Ronettes last single, the Beach Boys “I Can Hear Music”. A class act. It was great to witness a legend who for once truly lived up to expectations, and much more. The Who. 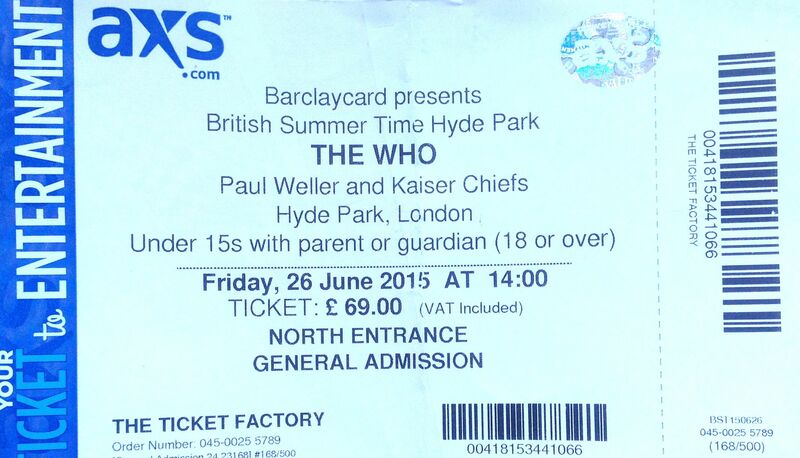 Hyde Park. London. 50 years. David, Shauna and I scrored some cheap tickets outside. It don’t get much better. 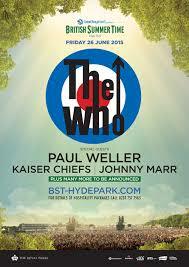 We enter the park and catch the end of PUl Weller’s set. 65,000 people sing along to opener Can’t Explain and we are all off on our own Amazing Journey. The hits just keep coming: The Seeker, I Can See for Miles, The Kids are Alright, Pictures of Lily (for special guest Weller, Roger tells us). What happened to Substitute? Never mind; we can’t always get we we want. Pete is on top form, windmill arm twirling and swirling. Roger’s voice is strong; the songs still sound fresh even after all this time, particularly with the Hyde park choir helping them along. Roger and Pete seem genuinely pleased to be back home playing in London, just a few miles from where it all started. “We are the Mods” sing the old guys behind us. £22 for a bottle of Pino Grigio; are they having a laugh? Class visuals take us through Tommy and Quadrophenia, with lots of shots of Keith and the Ox. Won’t Get Fooled Again closes it, after which Pete and Roger spend quite a few minutes thanking everyone. We wait around but there is no encore (what happened to Magic Bus?). Musn’t be greedy. My 20th Who show, and if this really was the last time that I’ll see this great band, it was a pretty excellent show on which to finish my Who journey. Georgie Fame walked onto the stage of Newcastle City Hall, sat at his Hammond organ and started to reflect on his first visit to Newcastle. That was apparently in 1960, and a young Georgie Fame was playing piano on the Eddie Cochran /Gene Vincent tour. Georgie couldn’t quite remember the name of the venue, but a couple of members of the audience helped him out. “The Empire” shouted one, while another kept insisting (No, it was the Odeon”. I checked it out (isn’t Google wonderful) and it was indeed the Empire, in Newgate Street. Georgie was soon accompanied by his sons on drums and guitar, and the trio performed Booker T’s “Green Onions”. Before too long the bass, vibraphone, trumpet and sax players all joined in. A wonderful start to the evening. A sparse, but enthusiastic, crowd had gathered for this concert which was the final night of Fame’s tour. “Get on the Right Track Baby” and “Cool Cat Blues” (dedicated to Mose Alison) kept the groove going. 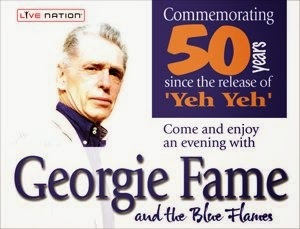 We were then treated to Georgie’s 1965 No 1 hit single “Yeh Yeh”. This was preceded by a great story of how Fame and his band arrived in Stockholm 50 years ago, to find hundreds of girls waiting and waving at the airport. Sadly they soon discovered that the crowd was, in fact, actually waiting for “the Saint” Roger Moore; who also happened to be on the same flight. The next song was a version of Bob Dylan’s “Everything is Broken” to which Fame had added the line “Its all F**ked Up Maann” and which we all had to sing 🙂 The first half of the show closed with Willie Nelson’s “Funny How Time Slips Away”, after which Georgie introduced each of the band members before they all left the stage for a short break. The second set started with Carole King’s “Point of No Return” which features on one of Fame’s early lps. The next song, which Fame dedicated to his friend Spike Milligan, was Louis Jordan’s “Don’t Send me Flowers when I’m in the Graveyard”, followed by (I think) “Love is going to take me away” and “Listen Here”. Then we were treated to an excellent version of the Bobby Hebb classic “Sunny”, which was also a hit for Fame. The concert closed (at 9.45 wow; I love early finishes) with Mose Alison’s “Was” (“When I become was and we become were ….”). 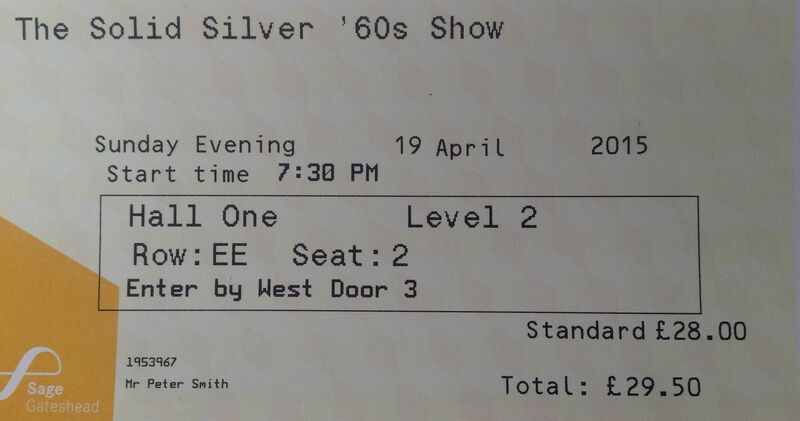 A great concert by one ’60s music greats who remains the coolest of the cool. Georgie Fame’s modern Blue Flames are: Guy Barker (trumpet), Alan Skidmore (tenor), Anthony Kerr (vibes), Tristan Powell (guitar), Alec Dankworth (double bass) and James Powell (drums). Tristan and James are Georgie’s sons (his real name is Clive Powell). The ’60s was a magical time and Lulu was a big part of that magic. She was a major figure in British pop, recording a series of classic pop hit singles. In 1967 she featured in the film “To Sir With Love” singing the title song which reached No 1 in the USA (and is still one of my favourite all-time songs). In 1969 Lulu sang “Boom Bang-a-Bang”; the UK entry to the Eurovision Song Contest, and was the joint winner. Come the ’70s she was back in the charts with her version of David Bowie’s “The Man who Sold the World”. Roll on 40 or so years and Lulu is touring again, singing a set of R&B classics and a selection of songs from throughout her career. I saw her concert at the Sage a couple of weeks ago. To be honest, I wasn’t quite sure what to expect but was pleasantly surprised just how good she was. 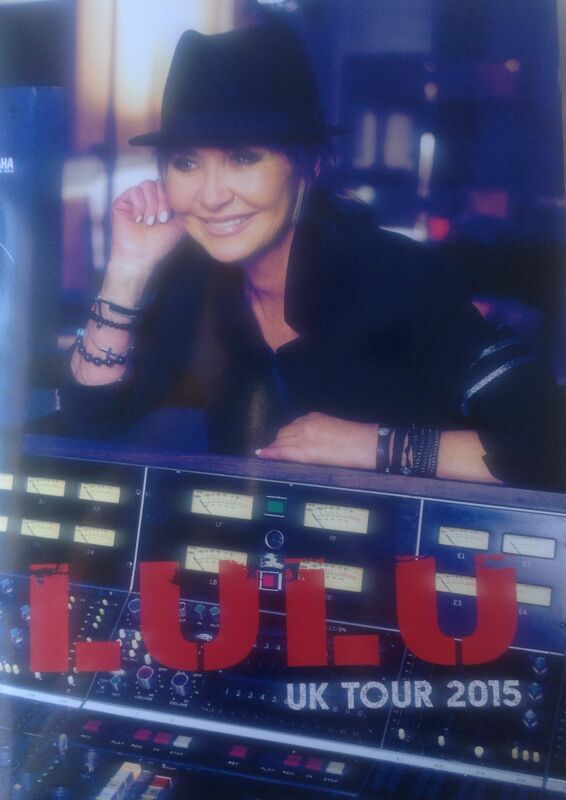 Lulu is still in great voice, looks stunning and has lots of stories to tell. She has a new and well-received album, “Making Life Rhyme” for which she wrote most of the songs (along with her brother who she has worked without throughout her career). She kicked the concert off with a version of the Republica hit “Ready to Go”, followed by “Relight My Fire” which she recorded with Take That, and then “Faith In You”, the opening song from her new album. The highlight of the first set was, for me anyway, a perfect version (i.e. true to the ’70s original) of “The Man who Sold the World” which took me right back. Other highlights were “I Don’t Wanna Fight” which was written by Lulu and a hit for Tina Turner (something that I hadn’t been aware of), and an acoustic set of Bee Gees numbers including “To Love Somebody” and “I’ve Gotta Get a Message to You”. Lulu explained how, married to Maurice at the time, she was present when the songs were written and recorded by the Gibb brothers. I’d read that she would sing a reggae version of “To Sir With Love” and was a little nervous that this wouldn’t seem right; but it actually worked well, and I enjoyed her new treatment of the song. The sad news of B B King’s passing had just broken, and Lulu sang an excellent soulful “The Thrill Is Gone” in tribute to the great man. I wondered if Lulu’s voice would still stretch to singing “Shout”, but stretch indeed it did (and more). She performed the song as if we were all back in the ’60s; and for a short period; we were. 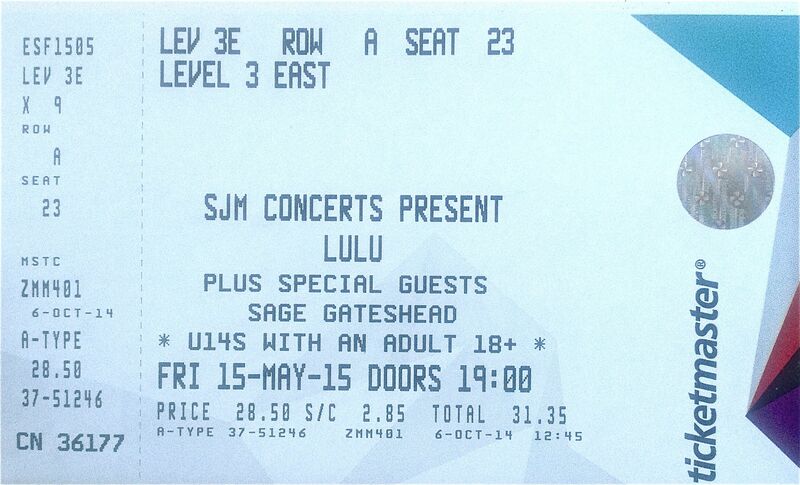 Lulu and her band closed with the Edwin Starr hit “25 Miles” and everyone was up on their feet, singing along. Good fun; and much much more enjoyable that I had imagined. I promised myself some time ago that I wouldn’t go to any more ’60s shows. Too much singing and clapping along to cover versions of great tunes, which often lack the power and energy of the originals. Too many bands with hardly any, or no, original members. But this show featured two artists, who remain true to the soul of the ’60s, and remain artists; namely P P Arnold and Chris Farlowe. What the hell, promises are made to be broken. 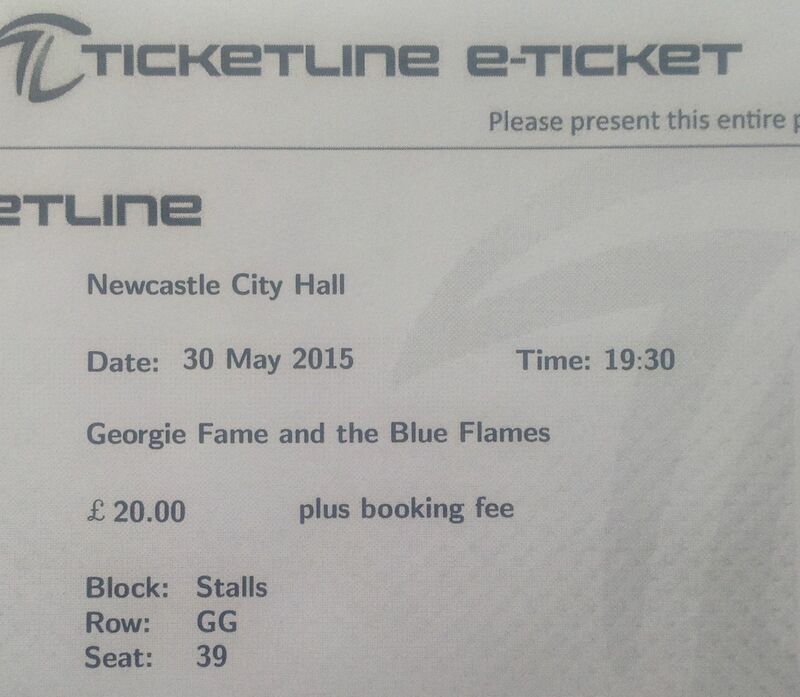 So along I went to the Sage, making sure to arrive early as both my heroes featured in the first half of the show. The evening was opened by the New Amen Corner who, although don’t seem to feature any original members of the Amen Corner, are a class act of excellent musicians with a strong ’60s heritage, and play authentic versions of old classics. 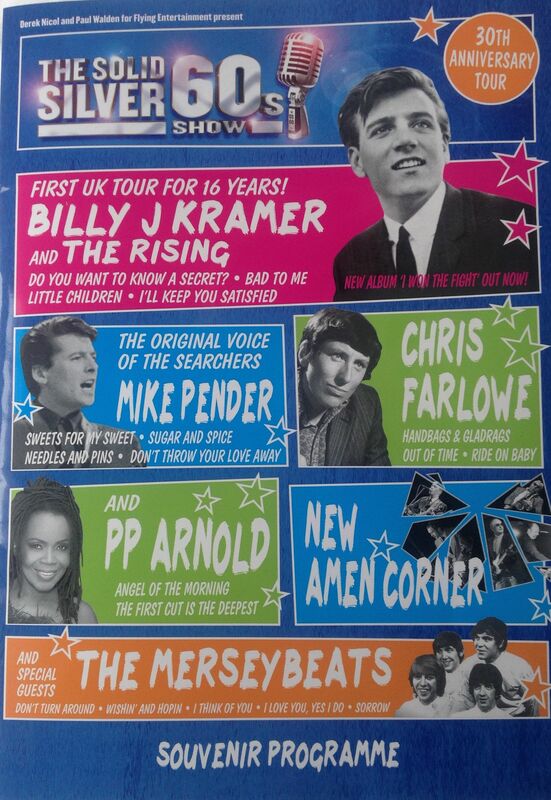 They are also providing backing to both P P Arnold and Chris Farlowe on this tour. Tonight they played “Bend Me, Shape Me” and the Turtles “Eleanor” before welcoming PP Arnold to the stage. After an embarrassing false start during which New Amen Corner played the intro to “Angel of the Morning” several times and PP didn’t arrive on stage as expected …. she finally did join us, and apologised explaining that she was waiting back stage and hadn’t heard her call. PP is the mod ace face soul sister, who arrived in the UK as an Ikette backing Ike and Tina Turner on a Stones’ tour, and was then asked by Mick Jagger to stay on and become a solo artist. She then formed a strong bond with Steve Marriott and the Small Faces, and performed with them on classics like “Tin Soldier”. This lady has class. She started with “Angel of the Morning”, and then sang Steve Wonder’s “Uptight.” Great stuff. Next she talked about how she recorded with the Bee Gees, singing “To Love Somebody” which PP covered on one of her albums. The next song was “If You Think You’re Groovy” which was written for her by Steve Marriott and Ronnie Lane; I think the Small Faces also backed her on the single. She dedicated the song to Marriott and the rest of the Small Faces. “River Deep, Mountain High” was dedicated to Tina Turner, who started PP off on her career. PP was suffering from a bad cold and was drinking ginger and honey to help her throat, but still sounded great. She then explained how after the Stones tour Mick Jagger invited her for a walk in Regents Park where he “made a proposition to her”. The “proposition” was of course to become a solo artist and join the new Immediate record label which was being launched by Andrew Loog Oldham, the Stones’ manager, and which also featured Chris Farlowe and the Small Faces. This was as way of introduction to her first hit single, which was Cat Steven’s “The First Cut is the Deepest”. Excellent. PP was then joined by Chris Farlowe for a duet of “Private Number”, introducing Chris as “the Voice”, and demonstrating the high regard in which he is held by fellow artists. Chris then launched into a set of soul and R’n’B classics: “Giving it Up for your Love”, “Stand By Me” were first. He then introduced a new song “Don’t Want to Love You Anymore” before performing “Handbags and Gladrags” as only Chris Farlowe can. Marriott featured again, as Chris dedicated “All or Nothing” to the legend. There was one song left that just had to be sung; he finished with a great rendition of “Out of Time” (No. 1 for Chris in 1966). The final act in the first half of the show was ’60s stars the Merseybeats with their familiar trademark Gibson Firebird guitars, and featuring original members Bill Kinsley and Tony Crane. These guys had some hits, and some great songs “back in the day”. Their set was: “Just a Boy from Liverpool”, “Wishin’ and Hopin'” (No.13, 1964), “Hey Baby” (introduced as a favourite back in the days of the Cavern lunchtime spots), “Don’t Turn Around” (No. 13, 1964), a cover of Del Shannon’s “Runaway”, the Everly’s (“their is only ever one duo”) “Let it Be Me”, “Singing the Blues”, and “I Think of You” (No. 5, 1963). They closed with “Sorrow”, which they recorded as the Merseys (reached No.4 in 1966) and which was covered by David Bowie (No. 3, 1973). The Merseybeats returned for an encore of “Hi Ho Silver Lining”. I’d had my ration of ’60s nostalgia for the evening, so left after the first half, missing Mike Pender’s Searchers and Billy J Kramer (sorry). The old ones can still be the best (at least they seem so; to an old guy like me 🙂 ). 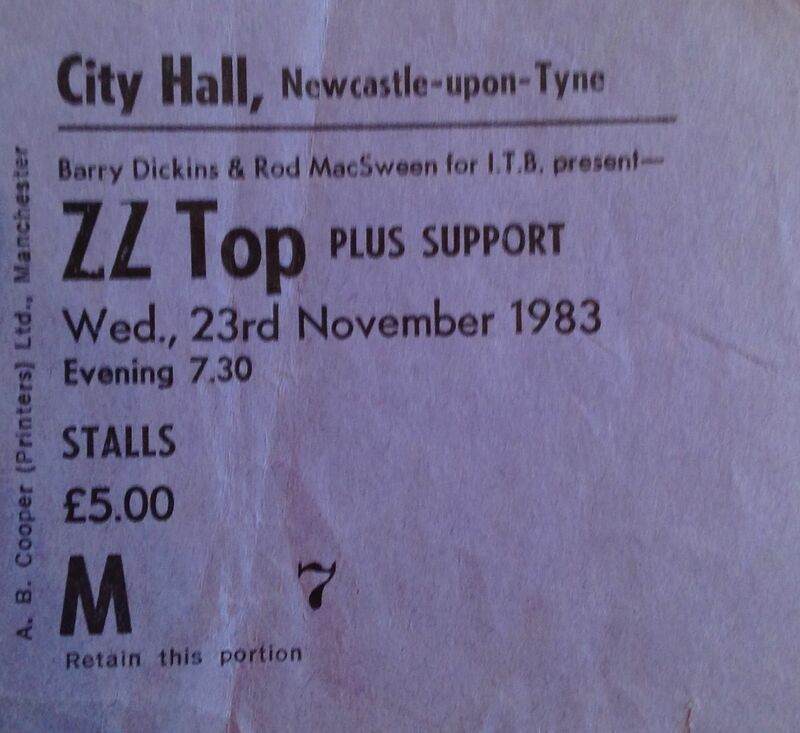 Those sharp dressed Z Z Top dudes moseyed on down to Newcastle City Hall on 23rd November 1983 to give us a taste of real Texan boogie. The beards were long yet carefully groomed (respect 🙂 ), the stetsons were big and grand with the widest brims you had ever seen, and the relentless boogie was ….. well it was relentless. They rocked, they boogied, the City Hall shook, and they rocked and boogied some more. 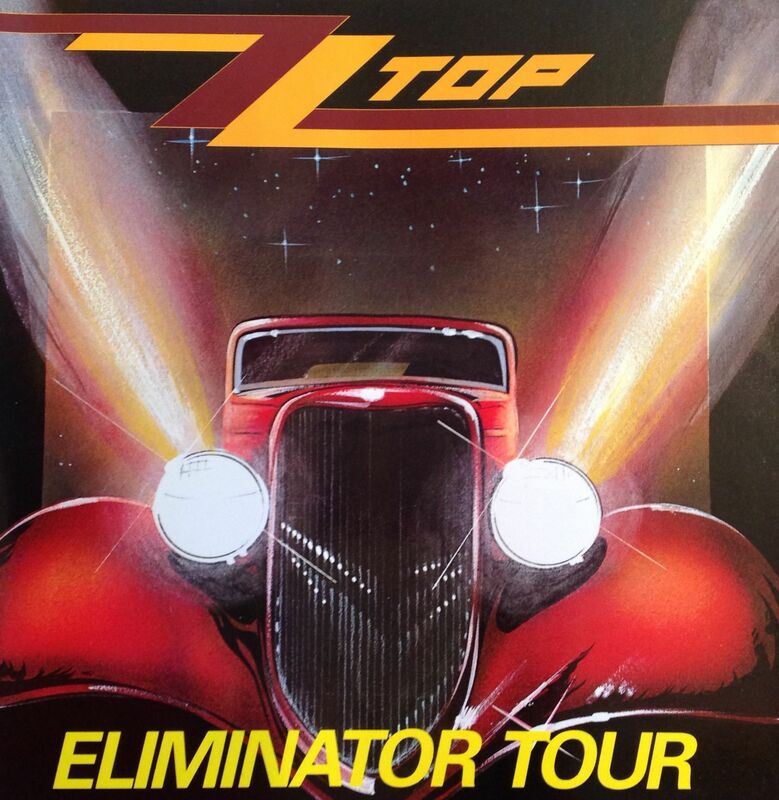 Z Z Top had just released their eighth studio album, “Eliminator”, and they were hot and on the toppest of top forms. “Eliminator” sold 10,000,000 copies and remains their most successful album. The car from the cover of the album roared onto the stage at the end of the concert. Just perfect. Wow is the only word for it. Setlist was something like this: Got Me Under Pressure; I Got the Six; Waitin’ for the Bus; Francine; Sharp Dressed Man; Ten Foot Pole; TV Dinners; Manic Mechanic; A Fool for Your Stockings; Dust My Broom; Pearl Necklace; Cheap Sunglasses; Beer Drinkers and Hell Raisers; Just Got Paid; Arrested for Driving While Blind; Party on the Patio; Tube Snake Boogie; Jailhouse Rock; La Grange; Tush. I took the set list from a published setlist for the “Eliminator” tour. Surely they must have played “Gimme All Your Lovin'”? Z Z Top were, and are, Billy Gibbons, Frank Beard (the one without the beard) and Dusty Hill. Support came from Australian band Wendy and the Rocketts. Three days to go ….